It’s hard to believe but on November 25th, Disney’s Aladdin will turn 25. 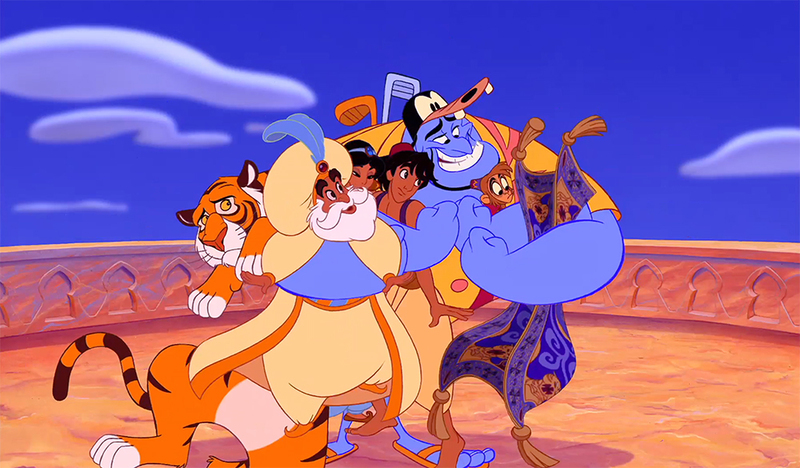 The fourth entry in Disney’s animation renaissance won Oscars for its music, but many fans will forever remember it for one thing: the late Robin Williams’ truly iconic performance as the Genie. Just in time for the 25th anniversary, the team behind Aladdin spoke all about Williams as the Genie. As they told Variety, Williams’ performance helped define the film. They were worried at first about the “irreverent” nature of Genie — would the target audience “get” all of his pop-culture references, or be offended by the more adult ones? — but as soon as they began to screen it, they knew that’s what would set Aladdin apart in the Disney hall of fame. Williams’ flexibility in the role and his uncanny transformations — not to mention, the way the animation studio kept up with him! — proved Aladdin would be a success. The team even remembered screening the film for an audience in Japan. They were told not to be upset if the audience didn’t laugh — culturally, it was more expected to “sit respectfully,” co-director Ron Clements recalled — so they were honored when the foreign audience went wild for the film. And it was Williams’ impressions, in particular, that the test audience loved. Genie supervising animator Eric Goldberg looked back on Williams’ talent, how it showed even in the quiet moments. Like, when he spotted Williams eating a sandwich, watching TV, and seemingly thinking things over. Even though Aladdin is about to turn 25, Williams as the Genie is, in a word, timeless. Honestly, we really never had a friend like him.